Over the past few years, Google has updated several of its mobile apps and even core Android experiences to prioritize “news” and “interesting articles.” The problem: they’re really, really bad at it. It started with the News & Weather app. 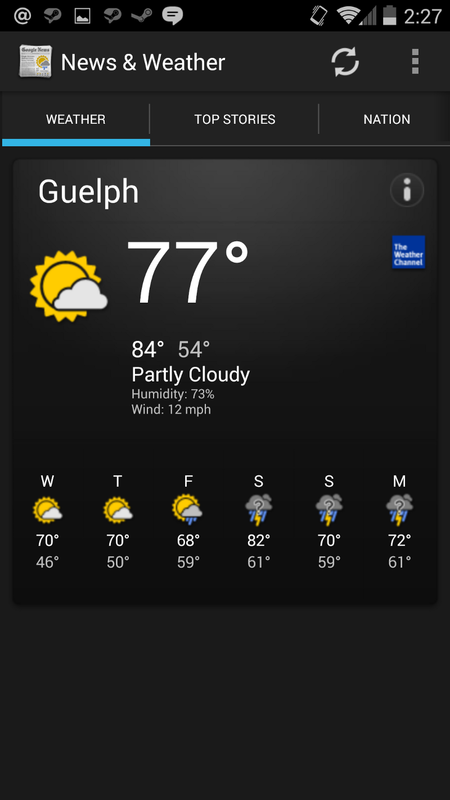 Originally this was just the default Android weather app with a couple of news tabs tacked on. The news sections were never particularly useful to me, but the main screen featured a large, useful weather summary. Dated design aside, it was perfectly functional as a weather app. News was nearby to support what I presume is a newspaper style reading habit, but it was never in the way or proactive. Then came the updates. 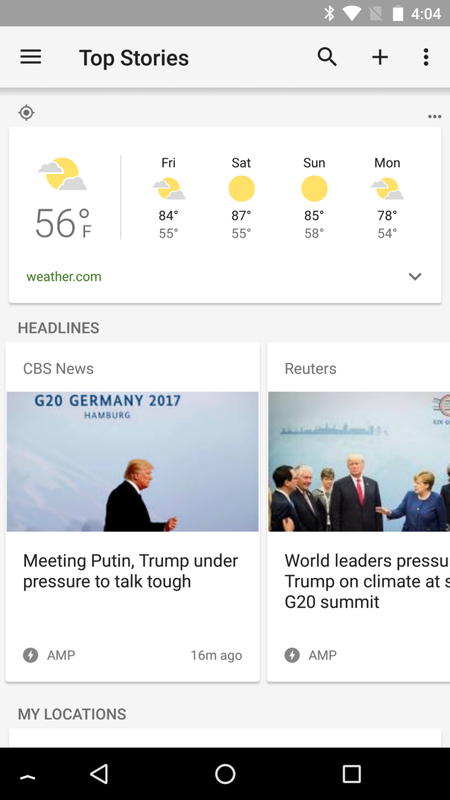 At first, the major Material Design reworking of the app was sane; they kept weather as the first-up primary use case, but put news closer by having it in the same scrollable feed. It was harder to ignore, but at least just as easy to check the weather. But then they redesigned it again, removing the weather from the main screen at all. This new interface focuses primarily on categorized news. It seems to operate like a Google-curated newspaper with the same stories delivered to all, sourced from a number of online news outlets. The “Local” tab is now a tap away with the weather. The “For You” tab shows an algorithmically curated number of stories Google thinks you’ll be interested in — a sign of things to come. It was a bit strange when Google rebranded the Android Market app store as the Google Play Store, but they’ve stuck with it. Play is Google’s overarching content distribution brand, encompassing apps, games, music, podcasts, movies, TV shows, books, magazines, and… news? The Play Magazines app—where you can subscribe to digital versions of most print magazines—was later rebranded to Play Newsstand. Fine, you can get magazines at a newsstand and you can subscribe to digital newspapers like the Times or Post in the app, so that makes sense. But Google also used this as an opportunity to start showing across-the-web sorts of articles intermingled with the digital publications to which you subscribe. A poorly-targeted mess of low-quality web articles crowding out the content you paid for. The result: a poorly-targeted mess of low-quality web articles crowding out the content you paid for and are there to see. 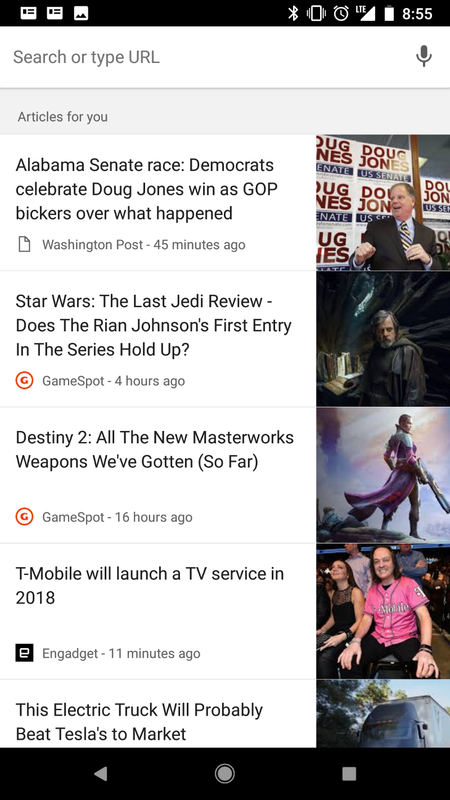 The results are laughably bad in the Google Play Newsstand app given I’m on a Google Pixel phone, running Google’s Android OS, using the Google Chrome web browser, signed into my Google account. And yet the top recommended stories are often articles I have already read on the very same device. Speaking of Chrome, let’s take a look at their new tab screen in the Android app. Yet another touch point to distract you. 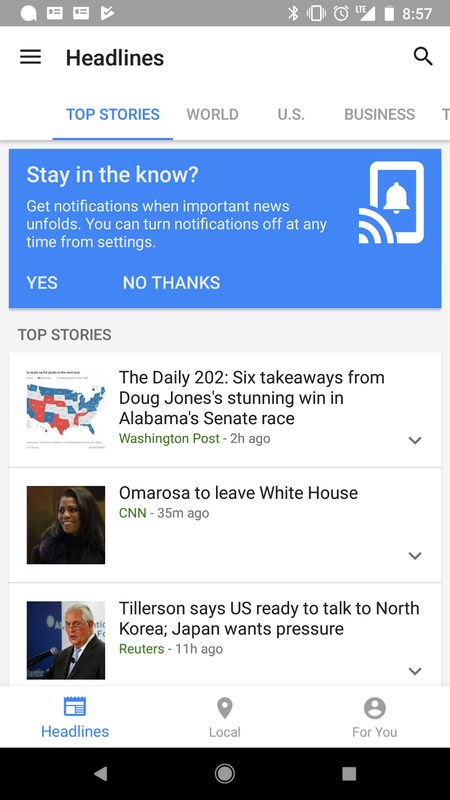 Google uses this as yet another touch point to distract you into reading more news. And it’s the same problem as the previous apps: poor targeting seemingly based on anything you’ve ever Googled. Google Now was Google’s push into proactive and predictive information, and when it worked, it worked very well. It would show you various preemptive cards: your flight information—including a boarding pass and any delay info—when you had an upcoming flight, transit info when you were near a bus or train station, bill info when an upcoming bill was due, reminders you had set, etc. It was the most useful personal assistant before tech companies decided to take that literally and redesign everything around a voice UI. 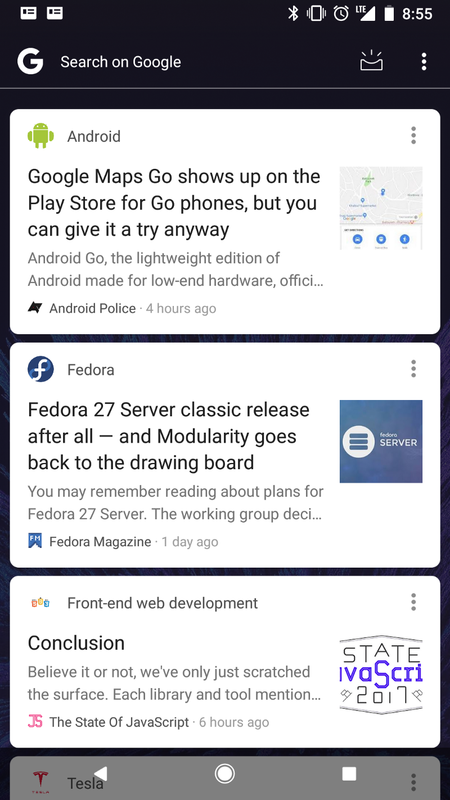 Recently, Google has ripped apart Now in favor of the “Feed.” Your Google Feed lives to the left of your Android home screen or as the main screen in the Google iOS app—directly replacing Google Now. Instead of useful, preemptive cards you get… news. Poorly-targeted, clickbaity articles from around the web that you’ve probably already seen on Twitter and read on the very same device. The old useful bits? Tucked behind an inconsistently-placed icon or occasionally pushed to you as notifications. Neither of which are as useful or reliable as an ever-present screen of relevant things. Now, any time you go to look for something useful or swipe over to start a search, instead Google is feeding you (heh) more garbage news. And it’s not just me: typically-devoted Google users and well-researched tech journalists are noticing, too. Every one of these examples is frustrating on its own; it’s the demise of several useful experiences on Android into some strange need to push more and more “news” into your life. But it gets worse. Most of these experiences go beyond placing news next to other things. Instead, they actively push it to you on a daily basis via the most interruptive mechanism at their disposal: push notifications. Yep. When you’re not even in these apps or looking for something to read, these apps — all from Google — want to shove even more news into your life. So why has Google been on this news crusade as of late? I have a pretty good theory: Facebook and Twitter. Social networks are increasingly becoming the primary source of news and what’s going on in people’s lives. Google+ was a fine networking and shared-interest tool, but it didn’t fill the same need for many as Twitter or Facebook. And they’ve since decided to shutter the product altogether, meaning they need a new way to control users. This is Google’s play: preempt the Twitters and Facebooks of the world by using the massive asset of a 2+ billion-person install base. Bake these news experiences into every corner of the world’s most popular operating system. Push stories to people before they open the Twitter app or head to Facebook.com. The problem I have with this: it’s really bad. The algorithms are poor, the targeting is mediocre, and too often I end up with poorly-written half stories popping up to draw my attention. Stop shoving news into every single app, and make One True News App. For example, revert News & Weather back to being a great weather app, and focus in on Newsstand. Get these weird duplicate news feeds out of Chrome and my home screen. If you want to be able to surface stories in a useful feed, Google Now had APIs for third party apps, and it worked. Plug Newsstand into that. If you want to push notifications for stories, have Newsstand take care of that as well. Carefully separate the sources I’ve explicitly subscribed to (like paid magazine and newspaper subscriptions) from any algorithmic “from around the web” list. When I want to read my paid sources, I am looking for just those sources. When I want to browse for something new, I want to browse new things. But above all, keep Newsstand as your one focused news experience. Throwing lots of data at algorithms might work for search results, but it’s not working for news. Curate the top stories in each category and topic based on completeness and quality. If I’m interested in Destiny, Pixel phones, and Linux, I don’t want or need to see every possible story that contains those keywords. Instead, I want the most interesting, engaging, and original stories for those topics. I’m already inundated with content from everywhere else; break through the noise instead of amplifying it. More aggressively curate based on quality: let known high quality publications and original sources bubble up, while clickbait and unoriginal stories sink. I’m on a Google phone running Google’s OS using Google services reading news in a Google app. Use that to make my experience better. If I’m signed into Chrome—which provides the in-app browser to third-party apps like Twitter — and I read a story that would otherwise show up in my news, mark it as read there, too. Deprioritize it so my unread and interesting news isn’t buried in what I’ve already read elsewhere. If I don’t usually open or engage with certain types of stories, take that as a signal that they’re uninteresting to me! Don’t show it to me later that day, and the next day, and the next. While Google ultimately controls the default experiences in Android and their app, there are a few steps users can take to mitigate the barrage. This doesn’t remove the burden from Google to do the above, but hopefully if enough people take these steps, they’ll notice and fix things sooner. Each Google app has a built-in feedback mechanism where you can send the app’s team at Google suggestions, complaints, and other feedback. In the Google app (or the Google Feed if it’s on your home screen), press the ⋮ overflow menu and choose Send feedback. Tell the team what you think of the new Feed behavior and if you miss the old Google Now behavior, then send it off. In News & Weather and Newsstand, open the respective app’s ☰ navigation menu, choose Help & Feedback, then Send feedback. Let the team know how you use the app and if the new behavior is working for you or not. In Chrome, press the ⋮ overflow menu, scroll down, and choose Send feedback. Tell the team whether or not you like or use the articles appearing in the new tab page, plus any other feedback you may have for Chrome. You won’t get a reply, but according to the Google support forums, the feedback sent this way does go to the actual teams responsible for the products. 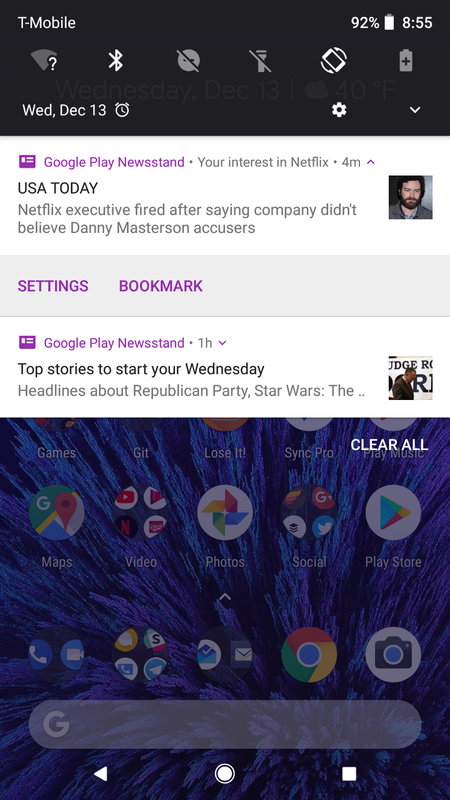 Some of the news features can be disabled from within the apps; this won’t fix the poor targeting within News & Weather or Newsstand, but it can get the news out of your face so often. And if Google collects feature usage metrics, perhaps they’ll realize something is terribly wrong. 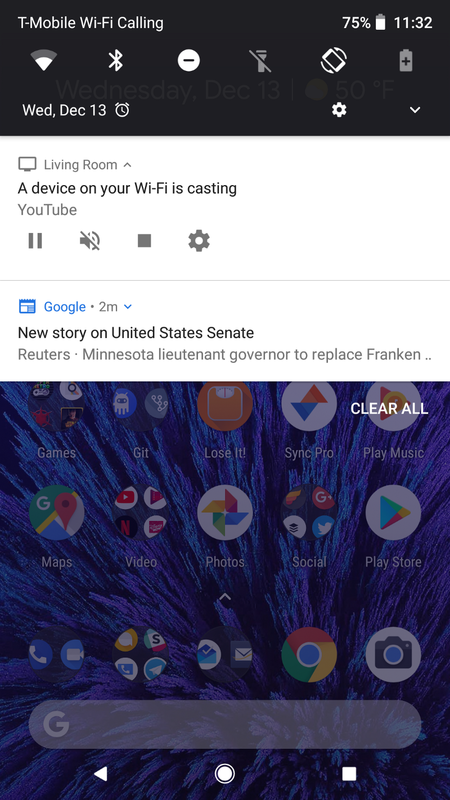 If you’re using the Pixel or Google Now launcher, you can disable the Google Feed. In the Google app or the Feed screen, hit the ⋮ overflow menu, choose Settings, go to Your feed, and disable the Show feed switch. If the blank feed is completely useless to you, you can remove the Google app from the leftmost home screen as well: long-press a blank spot on the launcher, choose Home Settings, and disable the Display Google app switch. To reduce the amount of news-related notifications, head into the relevant app and look for notification toggles. If you’re sick of all notifications from the app, you can also long-press a notification and disable notifications from the app there, or head to your phone’s global settings, look for Apps, and disable notifications under the respective app. Turning off the articles in Chrome is a little more complex (and might become impossible in a future update). For now you can type chrome://flags into the address bar, search for #enable-ntp-remote-suggestions and disable it. If you don’t use News & Weather or Newsstand, the easiest solution is to uninstall or disable them. Long-press the relevant app icon on the home screen, then drag it to the top of the screen to the Uninstall icon. Alternatively, head to your phone’s settings and look for the Apps section. Choose the offending app, then hit the Uninstall or Disable button. It’s been a slow, devolving process, but the “news” situation on Android has gotten exceedingly bad. I understand why Google is doing it, but they need to stop and make changes to turn it around. Let’s hope they do so. 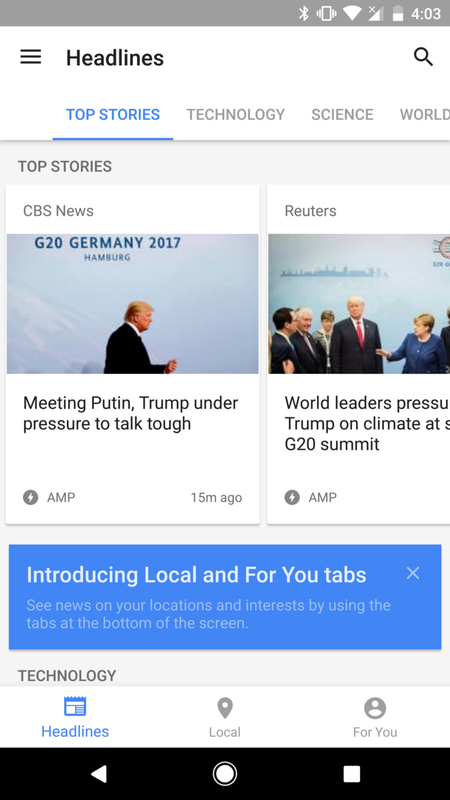 Edit: At Google I/O 2018, Google announced and released a new Google News app with a supposed doubling down on the problem. They still have all of the other venues of shoving “news” in front of people, though, and we’ll have to see if this is a serious commitment or just lip service. As of today (late December 2018), the Google News app follows some of my recommendations, but the suggestions in the Google Feed and Chrome don’t seem significantly different. Want more Google critique? Read my other piece, “How the YouTube Music Rollout Should Have Gone” and let me know what you think!